It's always the finishing touches that make the biggest impact and highlighting is a perfect example of this. A light dusting of this angelically-toned product has the ability to make cheekbones pop not to mention shave a few years off your age. Sarah Simpson takes you through some of her favourites, how and where to highlight and the best tools to ace the job. As the name suggests, highlighters are designed to add emphasis to areas of the face you want to make shine, quite literally, while it's bestie, contouring, is used to do the opposite. When they work in tandem, magic happens. A flat complexion can be transformed to create shadows and highlights working in unison to help not only shape the face, but also make eyes, cheeks and lips pop . This extra step in your beauty regime is definitely one worth doing. A touch of shimmer is all that's needed to make cheeks pop. 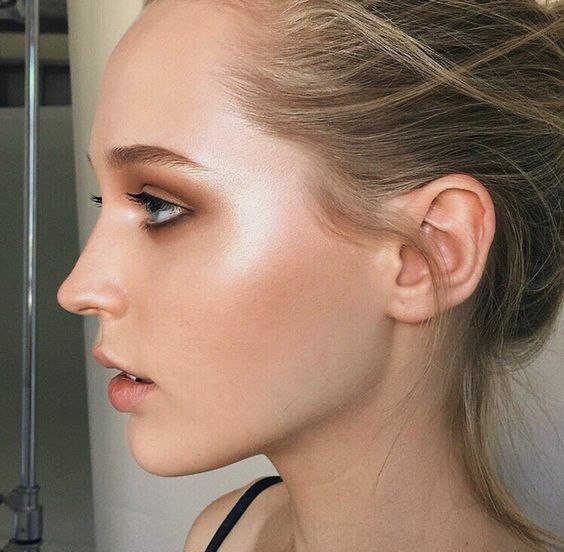 Curious to know where to highlight? Less is more is the perfect approach to highlighting - the last thing we want is your face resembling a disco ball. Stick to the traditional areas of the face that benefit from highlighting such as the upper cheekbones, down the centre of your nose and the cupid's bow on your lips. These are all the higher points of your face which naturally capture the light first, making this technique natural and seamless. 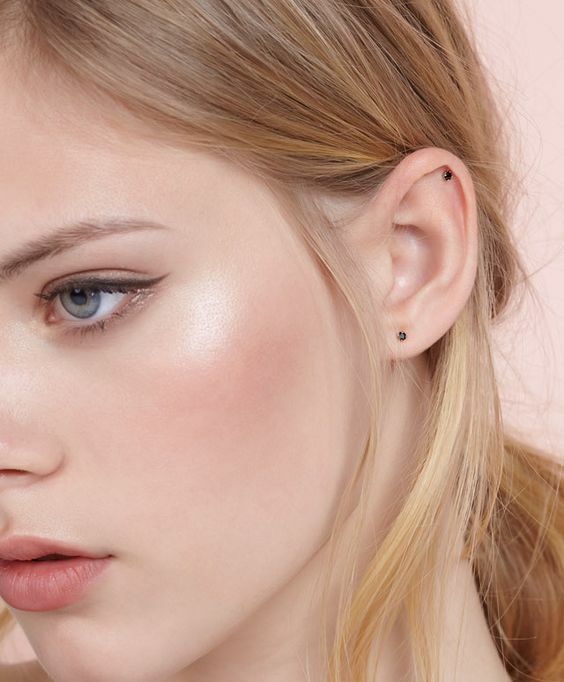 For cheeks, you want to aim for the highlight to hit your cheekbone and come down to just below the outer edge of your eye. This works to open up the whole area creating the illusion of a higher cheekbone and will also brighten your eyes. A quick whip of highlight down the centre of the nose is the cheats way to a nose job. Teamed with contouring on either side, this clever trick will elongate and perfect the nose creating a streamlined look. A dab of highlight on the upper cupid's bow will accentuate lips and give a fuller more youthful appearance. Hourglass Ambient Strobe Lighting Powder, $68. 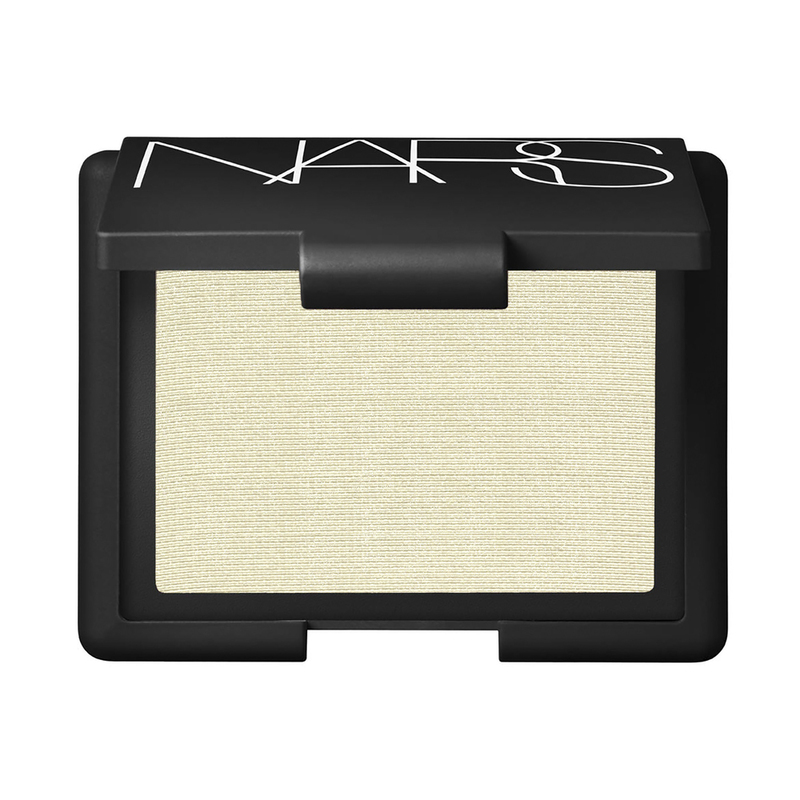 NARS Highlighting Blush in Albatross, $54. Bobbi Brown Shimmer Brick in Pink Quartz, $99. Shiseido Face Colour Enhancing Trio, $68. BECCA Shimmering Skin Perfector Pressed in Rose Gold, $60. Jane Iredale Quad Bronzer in Moonglow, $104. Clinique Chubby Stick Sculpting Highlight, $57. MAC Strobe Cream, $70. NARS Illuminator in Cococabana, $54. Benefit High Beam Luminescent Complexion Enhancer, $49. YSL Touche Éclat Complexion Highlighter, $65. Revlon Photoready Skinlights Face Illuminator in Pink Light, $15. Teaming your highlighting liquid or powder with the right brush is essential to getting the best end result. Choose one that allows you to buff the product in and diffuse the shimmer to just the perfect amount of depth. Apply a small amount of product onto your brush and blend, blend, blend away, almost until it feels that you have blended all of the product away. The end result will be a gorgeous natural glow that'll have your friends wondering what's your secret to looking so good. MAC #116 Blush Brush, $90. Bobbi Brown Blush Brush, $108. Simply Essential F3 Angled Kabuki Brush, $27. Stila Brush 24 Illuminating Pressed Powder Brush, $90. Revlon Contour Brush, $18.